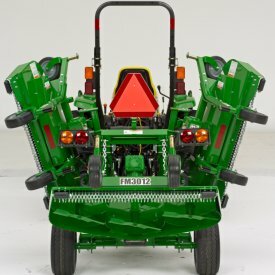 Go with the Flex-Wing Grooming Mowers for a quality cut over uneven fields. 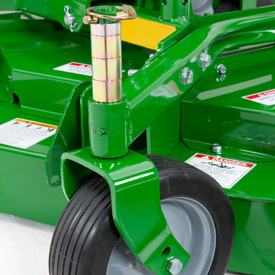 Features wider working widths to make quick work at sod farms, golf courses, and parks. The FM3012 has hydraulic lifts for the wing and rear decks, to automatically lock them in the up position for transport. A rope-pull latch release comes standard. 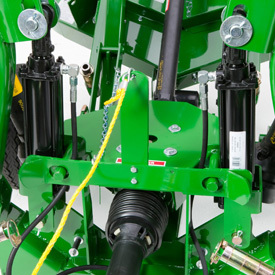 NOTE: An optional hydraulic-wing latch release kit is available. The FM3012 has cast-iron, reinforced blade spindles with ball bearings that can be greased for increased strength and long life. 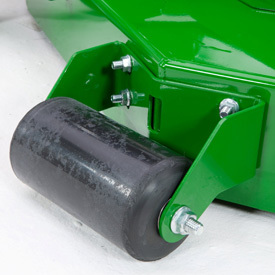 The heavy tubular caster arms supports are designed to prolong the life of the FM3012 Flex-Wing Grooming Mower. 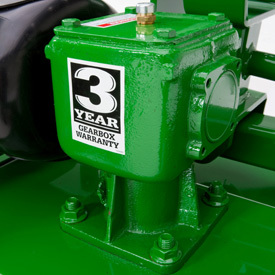 The FM3012's gearbox has a three-year residential warranty. 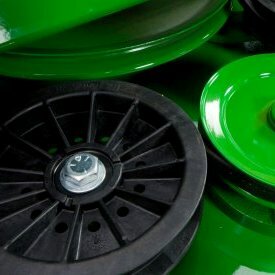 The FM3012 has a transport width of 2362 mm (93 in. ), which allows storage in a standard-sized garage. 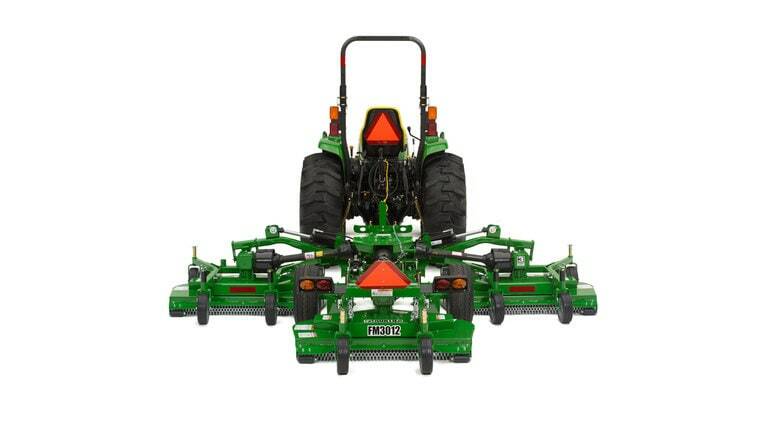 Each deck on the FM3012 has three anti-scalping rollers that keep the deck following the ground contour for a more uniform cut. 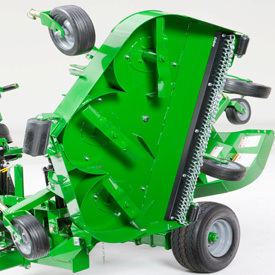 The FM3012 deck depth with baffling around the blades ensures exceptional material distribution and a higher quality of cut.